Ducted refrigerated systems are the ultimate in air conditioning and climate control. An Outdoor unit quietly delivers refrigeration to the indoor fan coil which is connected to superior platinum ducting for air to be distributed throughout the home. Ducted refrigerated air conditioning provides unobtrusive quiet climate control. Warm even heat is distributed during Winter and clean cool air during Summer. It provides precise comfort control in all weather conditions. How Do Ducted Refrigerated Air Conditioners Work? A reverse cycle air-conditioning system lets you control the climate when you want. Ducted Air Conditioning can both cool and heat your home while filtering the air and removing humidity providing the required level of comfort, regardless of the weather conditions. There are various types of air conditioners, from the simple and inexpensive room air conditioner, wall mounted split right up to a fully ducted system. 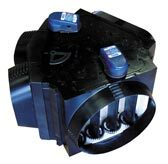 Systems vary in size from 1hp (2.5kw) to 80hp (200kw). Our expert team can help you choose the right system for you. We can advise you on the best system to fit any size requirement for home or business. 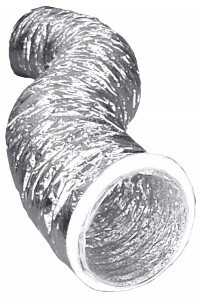 These ducted air conditioner systems are completely flexible and can be customised for any application. Inverter technology is your key to more comfort throughout the year, whatever the season. By controlling compressor rotation speed more precisely, inverter technology provides high speed cooling and heating with extra energy savings compared to non inverter models. Ducted refrigerated air conditioning provides unobtrusive quiet climate control. Warm even heat is distributed during Winter and clean cool air during Summer. At Sustainable Air, we specialise in providing advanced zoning systems for all of our ducted refrigerated systems. By zoning your system correctly, you will keep your running costs down and improve your comfort options by allowing you to control your airflow or temperature in each room. Let our experts design the best smart zoning solution for you. Filtered, metal powder coated white, Hinged door for easy cleaning.